Neurodegenerative disease is the fastest-growing cause of death in the world. It’s time to expand the conversation immediately. TSE is a spectrum disease also known as prion disease. The spectrum includes Alzheimer’s disease, Parkinson’s disease and an extremely aggressive version known as Creutzfeldt-Jakob disease. Prusiner claims that all forms of TSE are caused by infectious proteins known as prions (PREE-ons). The prion spectrum varies in severity. It also varies depending on which region of the brain is impacted first. When the presenting symptom is memory loss, the diagnoses flow along the following chart. Alzheimer’s disease and Creutzfeldt-Jakob disease (CJD) are essentially the same disease at different points on the same spectrum. Misdiagnosis, suppression of diagnoses, misinformation and mismanagement are contributing to the epidemic. “There is now real evidence of the potential transmissibility of Alzheimer’s,” says Thomas Wiesniewski M.D. a prion and Alzheimer’s researcher at New York University School of Medicine. Creutzfeldt-Jakob disease often is confused with Alzheimer’s disease because they are very similar and both are fatal. 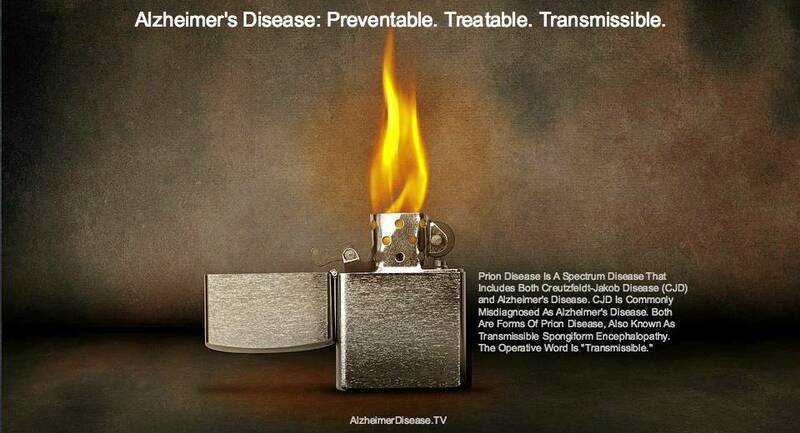 CJD is caused by a more aggressive mutation of the deadly prion than Alzheimer’s disease. The only difference that the medical community discusses is the pace of disease progression. CJD is usually very aggressive and can kill within weeks or months of diagnosis. Unfortunately, caregivers and family members are not being warned about the infectivity of CJD and Alzheimer’s disease. The bodily fluids, including blood, saliva, mucus, urine and feces transmit the disease. It’s impossible to sterilize items contaminated with the deadly prions. Millions of patients and caregivers are being misinformed, misguided and exposed to an aggressive disease. Misdiagnosis and misinformation regarding prion disease is a matter of life and death. The mismanagement doesn’t end here. 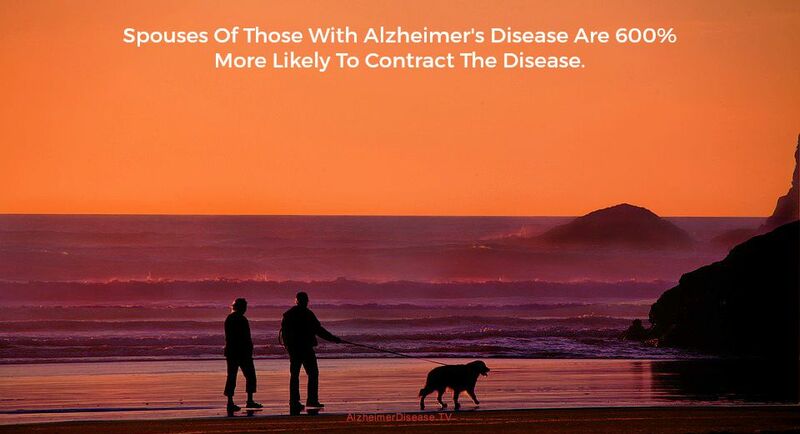 As such, spouses of those with “Alzheimer’s” disease, for example, are 600 percent more likely to contract the infectious disease. On a larger level, entire communities and watersheds are at risk of permanent contamination from just a single victim, not to mention thousands of infectious victims. Alzheimer’s disease and CJD are an environmental nightmare–a real-world version of Pandora’s lunchbox. 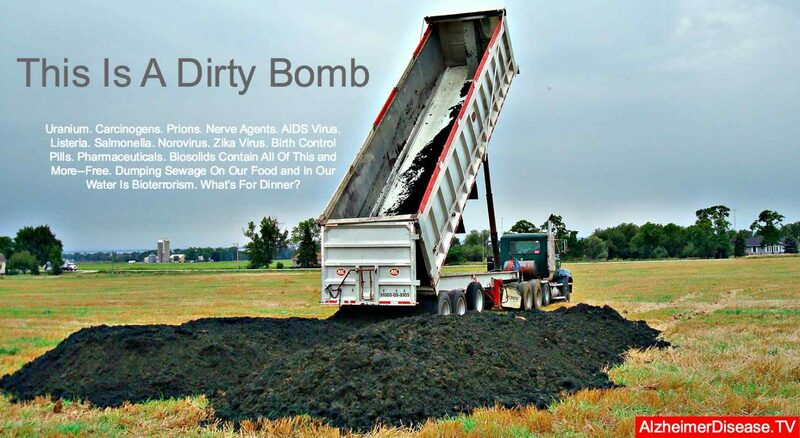 Infectious waste has become a major part of the equation. 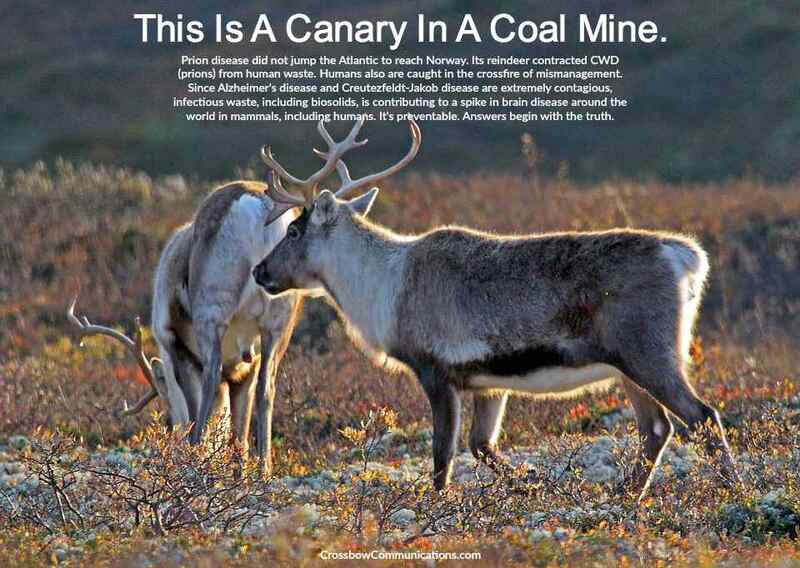 These forms of brain disease are now spreading to wildlife, livestock and back to humans because of sewage mismanagement and something the industry calls biosolids, which is another name for highly infectious sewage sludge. Wastewater treatment plants are collecting points for prions from infected humans. The sewage treatment process can’t stop prions from migrating, mutating and multiplying before being discharged into the environment where they can kill again. Wastewater treatment plants are spreading infectious waste far and wide because they are incapable of stopping prions. As such, all by-products and discharges from wastewater treatment plants are infectious waste, which are contributing to the global epidemic of neurodegenerative disease among humans, wildlife and livestock. Sewage treatment plants can’t detect or stop prions. We explore that failure in policy and protocol elsewhere on this website. Suffice it to say now that prion disease is being mismanaged on many levels around the world. As such, we have an epidemic of neurological disorders among people and wildlife around the world now. There is no reason to assume that livestock are immune from the same epidemic. Prions are unstoppable and the pathogen spreads through the bodily fluids of victims. Studies confirm that people and animals dying of prion disease contaminate the environment around them because infectious prions are in the urine, feces, blood, mucus and saliva of each victim. These infectious bodily fluids are contributing to the rapid spread of Alzheimer’s and other mutations of prion disease. Prions shed from humans are the most deadly mutation. Prions from human victims demand more respect than radiation. Infected surgical instruments, for example, are impossible to sterilize and hospitals throw them away. Many factors are contributing to the prion epidemic. Prions are now the X factor and the common thread among most forms of neurodegenerative disease. Industry and government are not accounting for prions or regulating them. They are ignoring these deadly proteins completely, which violates the United States’ Bioterrorism Preparedness and Response Act of 2002. Other nations also are ignoring laws developed to protect food, air and water. Sporadic CJD: the disease appears with no known risk factors. It accounts for about 85 percent of all cases. Despite the smokescreen of misinformation, these cases are actually acquired due to exposure to prion contamination, which is widespread and spreading further every day. Hereditary CJD: person has a family history or tests positive for the gene mutation associated with CJD. Only about 5 percent to 10 percent of CJD cases in the U.S. are hereditary. Acquired CJD: disease is transmitted by exposure to brain or nervous system tissue, usually through certain medical procedures. Food and water contamination are now major pathways. Initially, individuals with CJD experience problems with muscular coordination, impaired memory and judgment and vision, and personality changes. As the illness progresses, memory impairment becomes severe, and individuals develop involuntary muscle jerks and lose their sight. CJD causes more rapid deterioration of an individual’s abilities than Alzheimer’s disease or most other types of dementia. Currently, there is no single diagnostic test for CJD. A physician usually rules out treatable forms of dementia, such as encephalitis or chronic meningitis. It’s estimated that at least 25 percent of Alzheimer’s disease diagnoses are wrong. In these cases, the underlying disease is actually CJD, which means that millions of people around the world are walking incubators and prion distributors. A spinal tap, an electroencephalogram (EEG), computerized tomography (CT) and magnetic resonance imaging (MRI) are all forms of testing and evaluations to make the diagnosis of CJD, but the only way to confirm CJD is by brain biopsy or autopsy. Like Alzheimer’s disease, there is no effective treatment for CJD. Treatment is aimed at easing symptoms and making the individual as comfortable as possible. Medication can help relieve pain if it occurs. I have never heard Alzheimer’s is contagious from bodily fluids and that CJD is contagious when the person’s brain is exposed, it supposedly is not contagious any other way, via bodily fluids. My mom just died from it and I have yet to hear anything like your article quotes.